Should Students be Suspended for Striking? 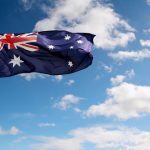 In September this year, nine-year old Brisbane school girl Harper Nielsen refused to stand for the national anthem at Queensland’s Kenmore South State School on the basis that is fails to recognise Australia’s Indigenous history. The school demanded the year 4 student either stand or leave the building – but she refused to do either. As a result, she was told she would have to sign a written apology or risk suspension. The incident triggered Australia-wide debate, with members of the community polarised in their views. It seems students are once again finding their voices, like those during the era of popular dissent and social change in decades gone by. Students across New South Wales are expected to converge on Martin Place in Sydney this afternoon to join a protest to demand action against climate change. The students intend to call on politicians to “take our futures seriously and treat climate change for what it is – a crisis”. But Prime Minister Scott Morrison will have none of it, stating “What we want is more learning in schools and less activism”. “Any student not in classes on a school day will be marked absent and may be subject to the school’s disciplinary code”. The statement has raised concerns that students may be disciplined, or even suspended, for attending the protest. But many students are undeterred, taking to social media to voice views to the effect that without action on climate change, their futures and those of their children are at risk. They are seeking action from parliament to protect the environment for future generations, and are disappointed by the lack of importance given by our politicians to the issue of climate change. 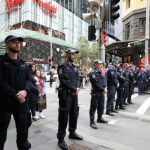 There is no general right to protest in Australia. In fact, participating in an ‘unlawful assembly’ is an offence under section 545C of the Crimes Act 1900 (NSW) which carries a maximum penalty of six months in prison and/or a $550 fine. For any protest, rally or demonstration to be lawful, it must comply with the provisions of Part 4 (comprising sections 22 to 27) of the Summary Offences Act 1988 (NSW) which prescribes a range of requirements which must be fulfilled before an assembly can be considered ‘lawful’. Section 22 defines a public assembly as any “held in a public place, and includes a procession so held”. The definition of ‘public place’ for the purposes of the Part is “a public road, public reserve or other place which the public are entitled to use”. 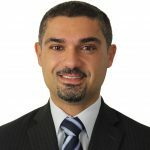 (ii) if the notice was served on the Commissioner less than 7 days before that date–the holding of the public assembly is authorised by a Court. Section 24 essentially provides that a person cannot be criminally prosecuted for unlawful assembly if they join a protest, rally or demonstration which complies with the above requirements. Sections 25 and 26 give higher courts, such as the District or Supreme Courts, the power to decide applications regarding whether public assemblies will go ahead or not. 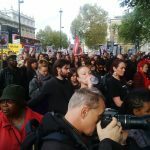 However, it should be noted that applications can involve substantial legal fees, which may dissuade or prevent protest organisers from pushing ahead with events. 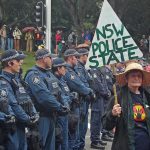 Evidently, protesting in NSW is not as simple as gathering like-minded individuals who are concerned about the existing state of political or social affairs, creating a few placards and taking to public parks or streets. Rather, police in NSW wield enormous power when it comes to determining which public assemblies are allowed to proceed, and which are not. 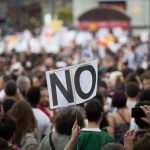 Protesting and Obstructing Traffic: What Are My Rights?